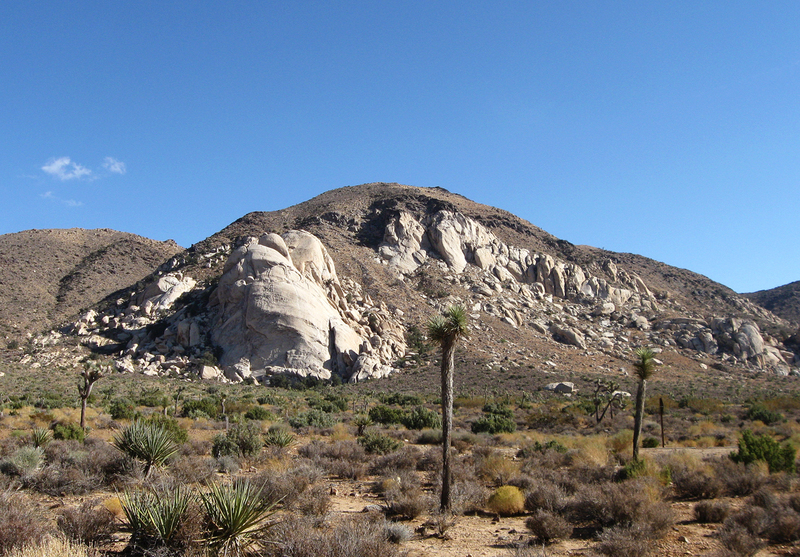 In Joshua Tree there’s a peak named Ryan Mountain. 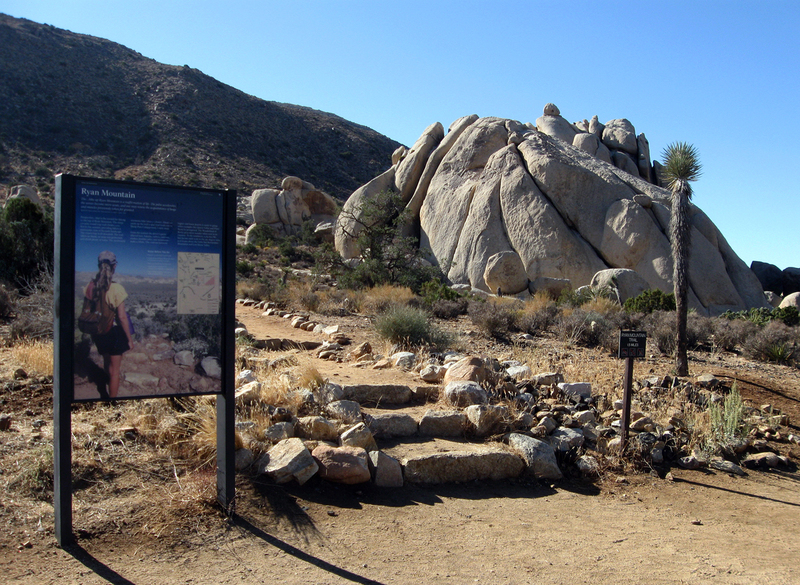 I might have resisted the bait, but then at the trailhead I found a sign proclaiming that ‘The…hike up Ryan Mtn. is a reaffirmation of life. The pulse accelerates, the senses become more acute, and one may renew the acquaintance of lungs and muscles previously taken for granted.’ (Robert B. Cates, Joshua Tree National Park: A Visitor’s Guide 1995) So what’s a blogger named Ryan to do? I of course want my blog to be reaffirming. So, photos from the hike are below. Above is a panorama, more effective if you click on it (probably true of all of the photos). 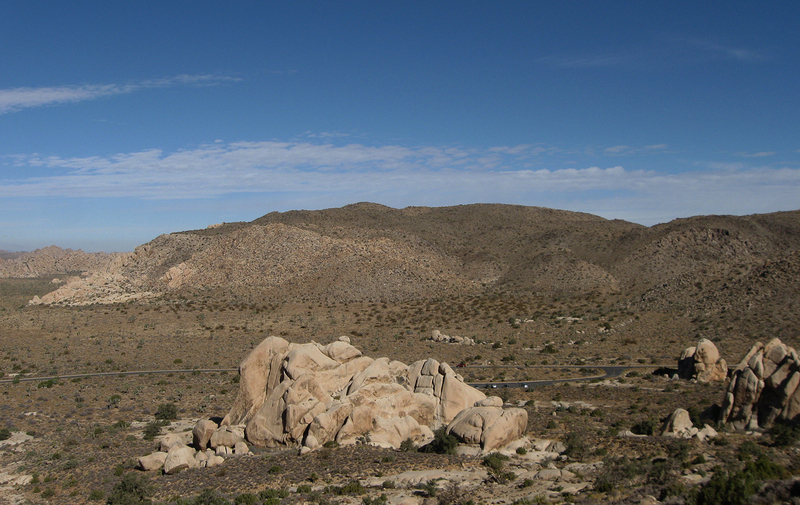 The view is to the north; the mountain in the upper left is in the San Bernardino range. In the photo below, facing more towards the west, the mountain in the background is Mt. 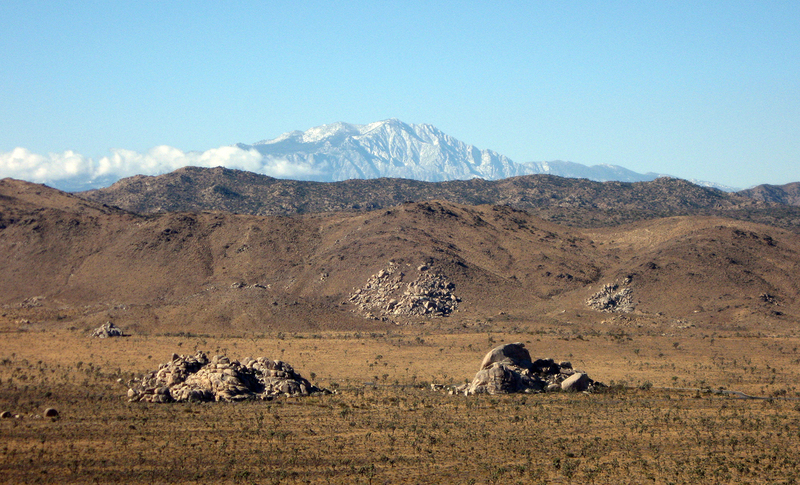 San Jacinto of the San Jacinto range that separates Palm Springs from the southeastern sprawl of Los Angeles. 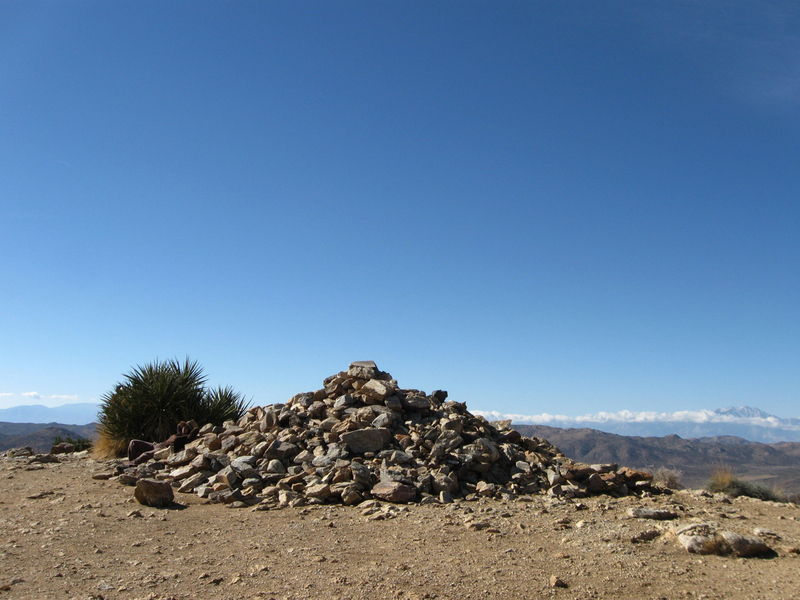 There’s a cairn at the top that looks like someone took a big broom and swept all the loose rock into a pile. I generally like cairns to look a little more structured, but this one made a nice windbreak, was comfortable to recline on, and the six or so feet of extra elevation made for a clear view in all directions, so I like it. 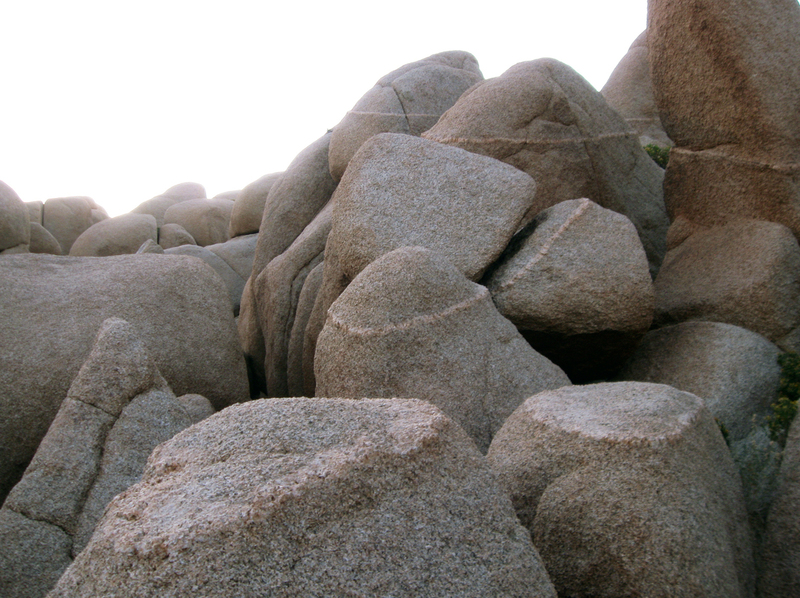 These photos are from the rock clusters near the base of the mountain. 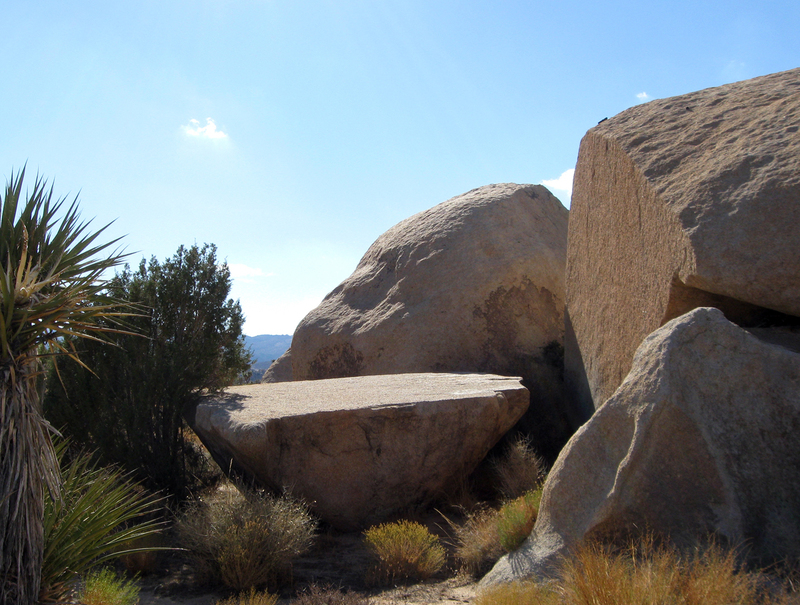 I dig the hike to the top and all of the views and reaffirmation that it gives, but ultimately my favorite places in Joshua Tree are in amongst the granite formations where the mountains have already eroded away. 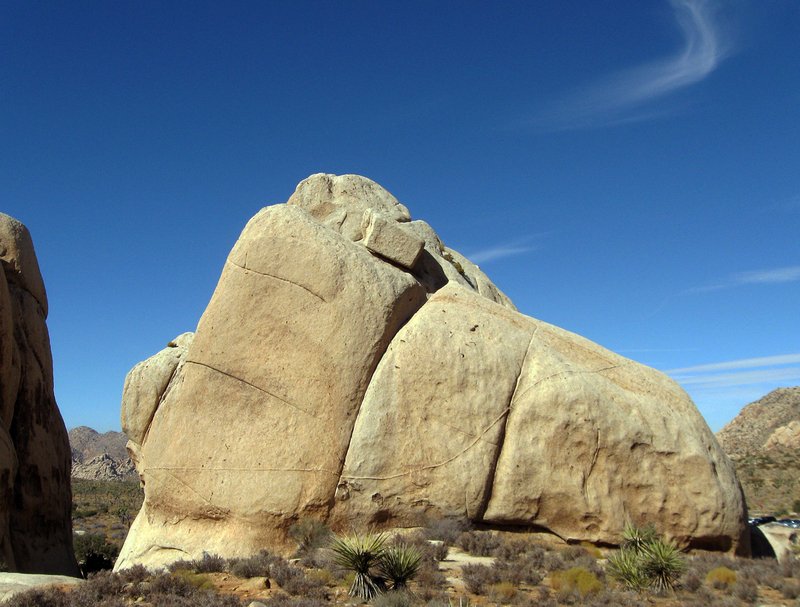 There’s probably some amazing granite hidden within Ryan Mountain. 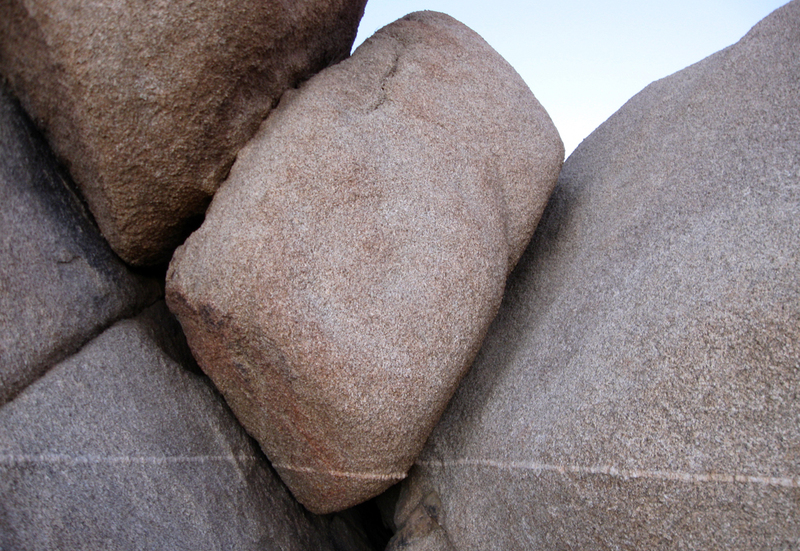 And within the granite I love the quartz veins. 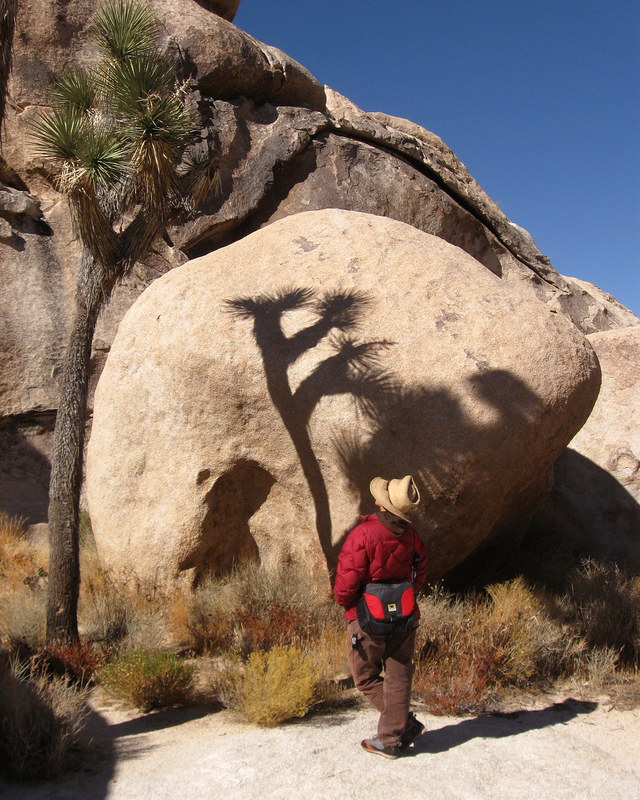 I think the takeaway is that I love Joshua Tree National Park. Such a phenomenal place. This entry was posted on Friday, November 18th, 2011 at 8:10 am and is filed under wildlands. You can follow any responses to this entry through the RSS 2.0 feed. You can leave a response, or trackback from your own site. 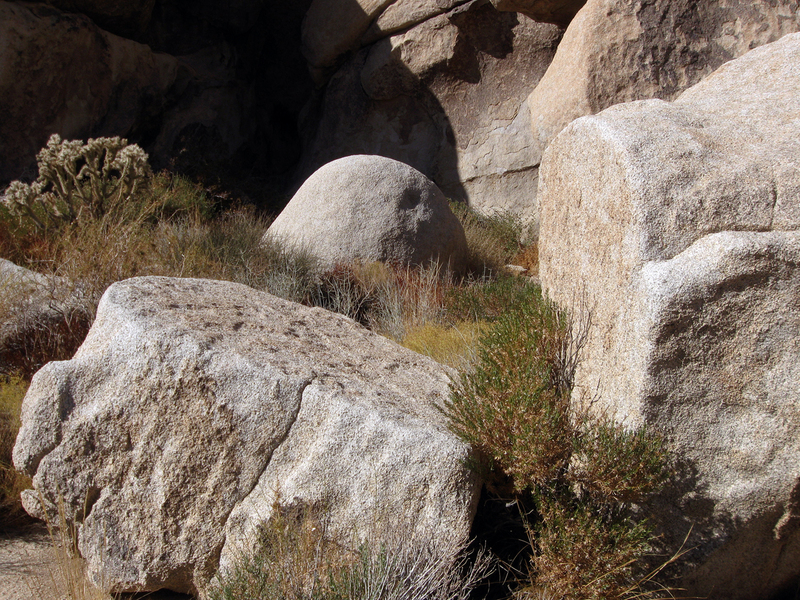 What a cool place…love how all those little plants sprout up in the nooks and crannies of those boulders. And this is just a stone’s throw (so to speak) from Palm Sprngs, isn’t it? Yeah, there’s a great relationship between the plants and the rock. There’s a place in the park called the Wonderland of Rocks that I could explore forever without getting tired of it. Palm Springs is on the other side of the hills in the photo with Mt. 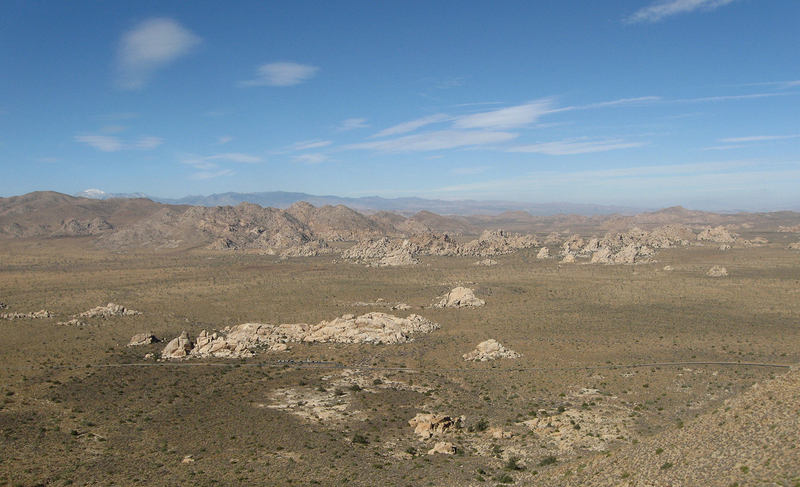 San Jacinto, very close as the crow flies, but it would take about an hour to drive around those hills to get there.